Predominately specializing in the recycling of construction and demolition materials from the Southwest, Peel and Perth Regions, Peel Resource Recovery has the ability to turn mixed construction and demolition material into a variety of re-usable and valuable products therefore diverting material from landfill and saving our natural resources. Recycling rates of 95% of construction material and 90% of demolition material is currently achieved and with our commitment to recycling this will only improve. 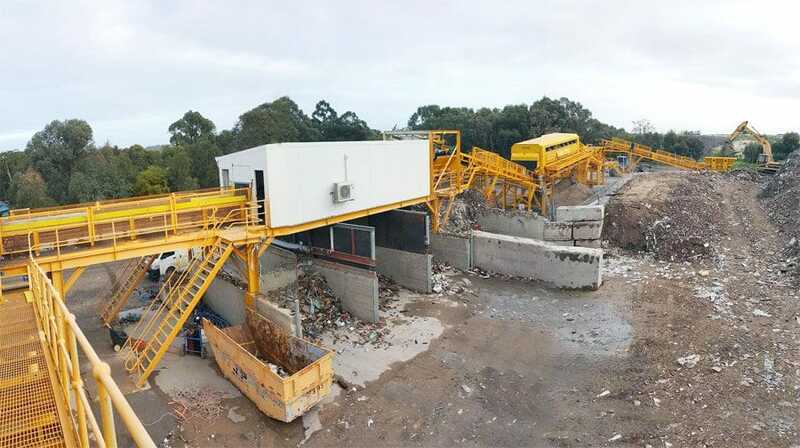 The 10-man Material Recovery Facility (Picking Station) with associated trommel and Pan feeders removes all contamination and separates the waste into numerous recycled products such as sand, cardboard, paper, steel, brick and concrete. Sand is resold. Cardboard & Paper sent for recycling. The brick and concrete is crushed to produce new products, Ferrous/Nonferrous metals sent for recycling. Glass is also processed on site and used in our recycled concrete products.